The books I have read this last month have been varied in style and subject matter, including a number of short stories, mainly about ghosts; a murder mystery; a Christmas fantasy; and one non-fiction book. They are all very entertaining and as I read one good book after another I began to think my luck could not last and that I was bound to start one I did not like. But no, I enjoyed them all. I have already written about Sons and Lovers, Christine Kringle, The Verneys, The Ladies of Grace, Crossing to Safety, the Ghost Stories and The Pit and the Pendulum. Clicking on the titles links to my posts on these books. 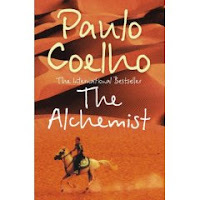 The Alchemist by Paulo Coelho and The Man Who Died by D H Lawrence. The Alchemist is a short novel, the story of Santiago, an Andalusian shepherd boy who travel s from his home in search of treasure. It’s a symbolic book about following our hearts and dreams, and reading the omens we encounter in our lives. Santiago sells his sheep and travels to Tangiers on his journey to the Pyramids following his dream that he will find hidden treasure there. On his travels in the Egyptian desert he meets an Englishman who introduces him to alchemy and together they search for the alchemist. I found The Alchemist to be an entertaining tale of how to live our dreams. It appears to be a simplistic tale on the surface but it is a meditation on the question of fate versus free will, love, luck and spiritual enlightenment. I wrote a story of the Resurrection, where Jesus gets up and feels very sick bout everything, and can’t stand the old crowd any more – so cuts out – and as he heals up, he begins to find what an astonishing place the phenomenal world is, far more marvellous than any salvation or heaven – and thanks his stars he needn’t have a mission any more. In the name of property, the widow and her slaves would seek to be revenged on him for the bread he had eaten, and the living touch he had established, the woman he had delighted in. He went on, alone with his destiny, and laughed to himself: ‘I have sowed the seed of my life and my resurrection, and put my touch for ever upon the choice woman of this day – Tomorrow is another day. I was surprised because despite its title I didn’t expect it to be about the death and resurrection of Christ. My reaction on realising that it is was mixed and I have wondered whether or not to write about it. I thought it was well written and that the concept was an interesting version of the resurrection. It is just that, a story and it gave me food for thought. There are two more stories in the book – St Mawr, which I have never read before and The Virgin and the Gypsy, which I read a few years ago, but is very vague in my memory. I’m looking forward to reading these and wonder if Lawrence has yet another surprise in store for me. The other books I finished reading in October are Set in Darkness by Ian Rankin, One Fine Day by Mollie Panter-Downes, which I’ll write about in another post. 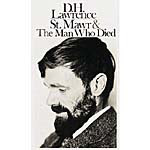 You will understand my position on D H Lawrence if I say that when last week the PG student giving the Literature Seminar started by saying that he wasn’t going to talk about Lawrence (the subject of his PhD research) but the American poet, Elizabeth Bishop, I very nearly stood up and cheered. And that had nothing to do with my views on Bishop, about whom I know very little. I can’t get to grips with Lawrence and I promise you it’s not for lack of trying. Was there ever a man more miserable about life? If someone can persuade me otherwise I really am open to persuasion but at the moment I steer as far clear as I can. Ann, I’m not the person to persuade you as I know very little about Lawrence. Reading Sons and Lovers and The Man Who Died has made interested in him though and I’ve been thinking of finding out more about him.I’ve read a few of Elizabeth Bishop’s poems – I like In the Waiting Room. I know very little about her too. Great reviews, and that is quite a lengthy reading list for one month. I’m impressed! Which book is the Christmas fantasy?? Thanks, Lisamm. The Christmas book was Christine Kringle. What a joyous, lucky month of reading. I just love it! Did you think when you read the Rebus that you had missed too much by not starting at the beginning? Some series it seems to be important, and others not so much. Tom has read some of Rankin’s work, but I’ve just seen the tv versions, with both those great actors playing the part. Nan, thanks for visiting. Somehow, not intentionally, I picked such a variety of reading in October and some books were long and others so short!Because I’ve watched Rebus on TV over the last few years I don’t think I’ve missed out by not reading the first book first. My problem with reading something I’ve seen on film or TV is that I picture the characters in the programme rather than from the description in the book. So, with Rebus who do I see, John Hannah or Ken Stott, they’re so different? In the end a sort of conglomerate character emerged in my mind. I have a few more Rebus books lined up to read (from my son)and I’m looking out for the first in the series. I’m going to listen to Set In Darkness. Is there a review somewhere on your blog that I missed?? Nan, I’m behind with writing about Set in Darkness – it’s next in line.